In the late evening of September 26, 2018 Dr. Salim M. Jabbour died peacefully in his home, and surrounded by his loving family after a long battle with progressive supranuclear palsy (PSP). 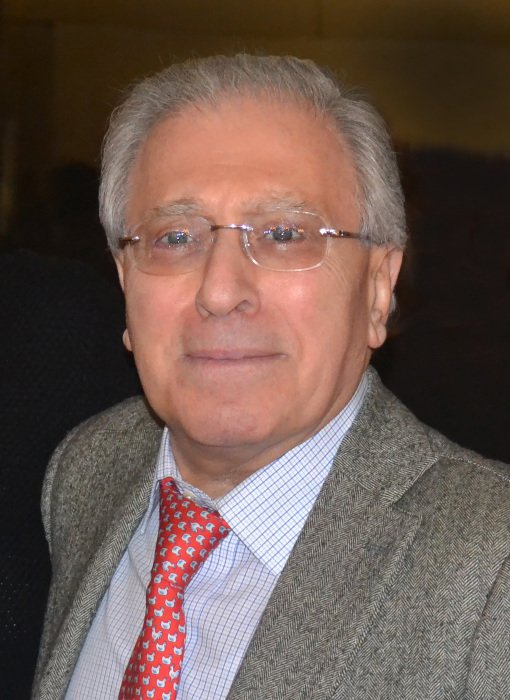 Dr. Jabbour was born on April 20, 1941, the elder son of the late Dr. Michel and Raymonde Jabbour of Beirut, Lebanon. After studying at University Saint Joseph Faculty of Medicine in Beirut, he moved with his wife Hilda Saadeh Jabbour to Boston to complete his medical training. He was Board-certified in Internal Medicine, Cardiology, Interventional Cardiology, Critical Care Medicine, and Geriatrics. In his four-decade career, Dr. Jabbour was Assistant Professor of Medicine at Harvard Medical School. He was also Chief of Cardiology at Cambridge Health Alliance, and President of its Medical Staff; Lecturer at Harvard Medical School; Director of the Intensive Care Unit at Cambridge Hospital and Chair of the Intensive Care Unit Committee; Interventional Cardiologist at Mount Auburn Hospital; Consulting Cardiologist to Spaulding Hospital of Cambridge; and Speaker at Medical Grand Rounds as well as Cardiology Conferences at Cambridge Hospital. Dr. Jabbour trained two generations of medical students, interns, residents, and fellows. He was a beloved and formidable teacher who was esteemed for his insistence on the highest standards of excellence in patient care. He was sought out by patients from around the world for his superlative clinical skills and judgment. He was a devoted husband, father and grandfather whose dedication to his family, both near and far, established him as a man of admirable strength and wisdom. Dr. Jabbour will be remembered for many things including his generosity, wit, wise counsel, humility, love of science and all (well, most) things Lebanese. In addition to his wife, Hilda, Dr. Jabbour was the beloved father of Carla Higgins and her husband Michael of Weston, and Christina Dupre and her husband Robert of Westwood. Dear grandfather "Jedo" of Caroline, Kaitlin, Samantha, Andrew, Christopher, Jason, Isabella, and Ryan. He is also survived by his two brothers Samir and Gabriel Jabbour, his sister Jeanne Asmar, and numerous nephews and nieces. Funeral from the Kfoury Keefe Funeral Home, 8 Spring St., WEST ROXBURY, Tuesday, October 2, 2018 at 9:00 a.m. Funeral Mass at Our Lady of the Cedars of Lebanon Church, 61 Rockwood St., Jamaica Plain, at 10:00 a.m. Visiting hours Monday, October 1, 2018 from 4:00 to 8:00 p.m. Relatives and friends are respectfully invited to attend. In lieu of flowers please make a "Tribute Gift In Memory of Dr. Salim Jabbour" at www.psp.org. Dr. Jabbour will be laid to rest at St. Joseph Cemetery in West Roxbury. Please click "A Tribute Gift In Memory of" when donating.